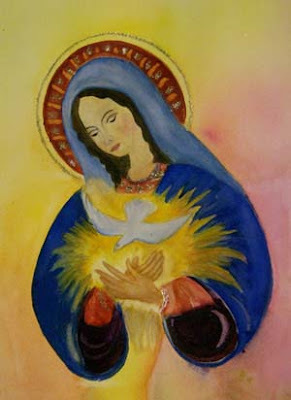 Painting by Sr. Joseph Marie, O.P. ﻿ Who then are you, O Immaculate Conception? Not Adam, formed out of the dust of the earth (Gen. 2,7). Not Eve molded from Adam’s rib (Gen. 2,21). Not the Incarnate Word, who exists before all ages, and of whom we should use the word “conceived” rather than “conception”. Humans do not exist before their conception, so we might call them created “conceptions.” But you, O Mary, are different from all other children of Eve. They are conceptions stained by original sin; whereas you are the unique, Immaculate Conception. 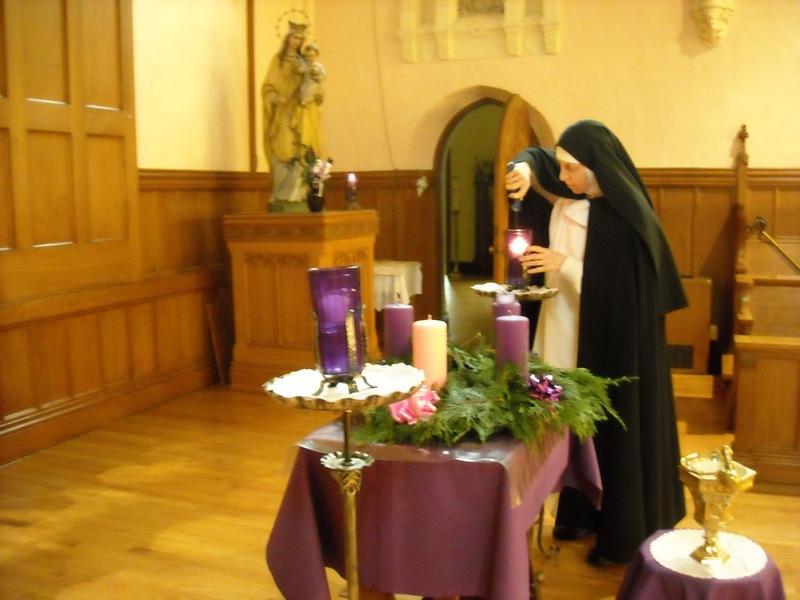 During the last five days, our community was on our annual Advent silence retreat so as to spend more time in solitude, prayer, and meditation. During this time, I thought of our Blessed Mother and how she would be the perfect companion, especially during this time of waiting for the Light of the world to come, for she once lived in this period of joyful waiting and hopeful expectation centuries ago. I became so fascinated by the Marian teachings of St. Thomas Aquinas and St. Maximilian Kolbe and I spent my retreat diving more deeply into this wondrous transcendent love and mercy of God, our Creator, who has given us so many unmerited blessings and graces through our Blessed Mother. 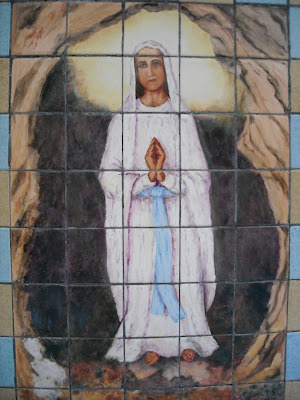 ﻿Centuries after the Annunciation, we heard from the same Virgin’s lips at Lourdes as she revealed her identity to the whole world by telling Bernadette: “Que soy era Immaculada Councepciou…I am the Immaculate Conception.” Based on the teachings of the Church, God preserved Mary from original sin at the time when she was conceived in the womb of her mother, St. Anne and filled her with sanctifying grace that normally comes with baptism. But one might wonder as to the how…why…and what is the profound meaning behind Mary’s exceptional identity…the Immaculata or the Immaculate One. Let us turn to our Brother Thomas Aquinas who teaches that Mary was not only sanctified in the womb but also had always been preserved from every sin, mortal and venial. St. Thomas teaches that God prepares and endows the ones he chooses for some particular job so that they are able to fulfill it; and since God entrusted Mary with the office of the Mother of God, she received the full intensity of grace as she would bear within her womb the author of grace. This is the meaning of the Angel’s greeting, "Hail Mary full of grace! The Lord is with you." Mary was filled with the Holy Spirit from the very moment of her conception. This profound loving union is a reflection of life and love of the Holy Trinity. Drawn from the fact that the Father begets the Son known as "generation", and the Holy Spirit is the love between the Father and the Son known as "spiration," St. Maximilian Kolbe further teaches us that the Spirit is the divine “conception” that springs from their love. Among human beings the wife takes her husband’s name because she belongs to him and is one with him…the source of new life, “with how much greater reason should the name of the Holy Spirit, who is the divine Immaculate Conception, be the title of her in whom God lives as uncreated Love, the principle of life in the whole supernatural order of grace?” In other words, The Saint is saying that this "eternal" Immaculate Conception, which is the Holy Spirit, created divine life in Mary's womb and made her the "human" Immaculate Conception! the image of the Virgin is found in the Church. in our hearts her readiness of faith. 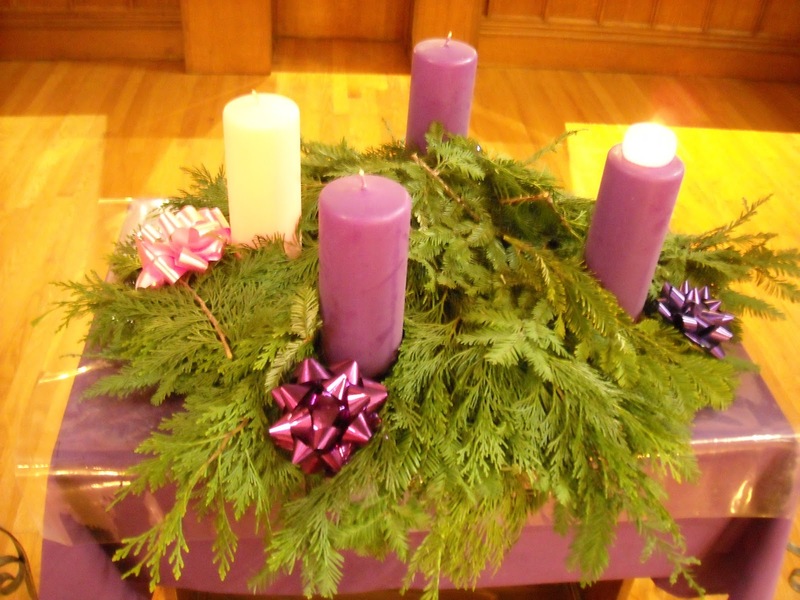 The term Advent comes from the Latin word Aventus and can be translated as coming, arrival or presence. It is then very fitting that our holy Mother Church designated Advent as the first season of the new Liturgical Year. In understanding that God is very near, we feel strengthened to continue facing the challenges of life on our journey of faith throughout the year. Yet, it is only in stillness, silence and attentiveness that we are able to sense the presence of God manifested in many different ways and circumstances of our life. And how does God come to us? “The Word was made flesh and dwelt among us.” (Jn. 1:14) This is the wonderful and unfathomable mystery of the Incarnation of the Son of God that should make our heart burn with profound gratitude each time we contemplate the love of God. First, God’s love is the greatest because of the person loving...it is God who loves, and infinitely. Thus he says, God so loved. Secondly, God’s love is the greatest because of the condition of the one who is loved; that is, man, who is of the world and living in sin. St. Paul writes: God shows his love for us, because while we were still his enemies, we were reconciled to God by the death of his Son.” (Rom 5:8) Hence he says, the world. Thirdly, God’s love is the greatest because of the greatness of his gifts, for love is shown by a gift; as Gregory says: “The proof of love is given by action.” But God gave us the greatest of gifts, his only begotten Son; his natural Son, consubstantial, not adopted, to prove the enormity of his love. St. Paul again writes that "God did not spare his own Son, but delivered him up for all of us.” (Rom 8:32) Therefore he says, that he gave his only begotten Son. Fourthly, God’s love is the greatest because of the greatness of its fruit, which is eternal life. Accordingly he says, so that everyone who believes in Him might not perish, but might have eternal life. This he obtained for us through his death on the Cross. But did God give us his Son with the intention that he should die on the Cross? Indeed says St. Thomas, that God gave Him to us for this purpose. The Son of God freely willed from eternity to assume flesh and to suffer for us. He has a divine will (along with a human will) that is totally in union with the Father's. Truly, our God is an awesome God! So next time when we experience a personal Advent, a visit from God, whether it be a happy occasion or an afflicted situation, let us continually give thanks to God for He is a "mad Lover" as our Sister Catherine of Siena tells us. He wants to come to us, live with us, share our life with us and desires that we share our life with him in whatever state of life we found ourselves in. 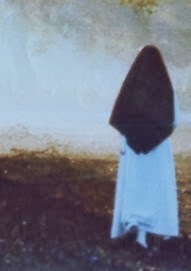 to visit us in peace. 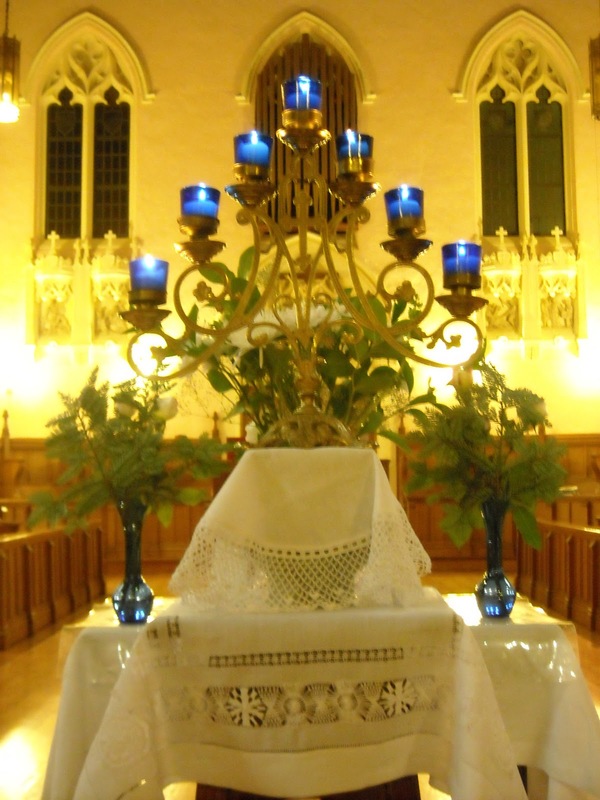 A Blessed and Holy Advent to All!